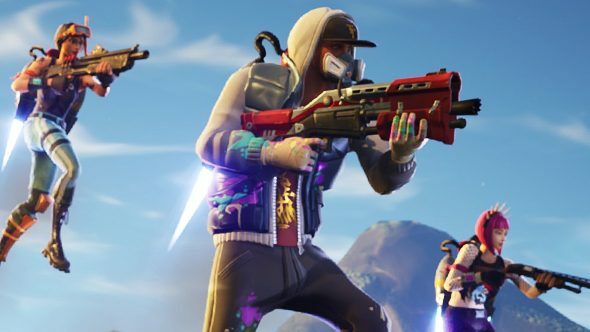 Fortnite’s shotguns have ruled the game’s meta for some time, but a new nerf aims to take a little of the sting out. Epic have some major changes for the game going live today, including those shotgun nerfs as well as a big buff to traps and the confirmation that jetpacks will soon fly off into the sunset. The headshot multiplayer on pump and tactical shotguns is going down from 2.5 to 2.0, and pumps will have their damage reduced from 90/95 to 80/85. Notably, that means if you’ve got a full 200 on health and shields, you’re no longer at risk of dying from a single pump shotgun headshot. Just try to go without a shotgun in one of the best battle royale games on PC. I dare you. Of course, there’s more to the Fortnite shotgun story than pure damage numbers. The double pump technique lets players rapidly fire two pump shotguns in a row, and the slight damage buff here could make that technique even more popular, as you could follow up a headshot with a quick body shot to take out an enemy with full health and shields very quickly. Still, shotguns are now at least slightly less deadly, which should make for a welcome reprieve on the battlefield. While you might need to be extra cautious about every floor you walk across now, you can stop looking to the skies, because jetpacks are heading to the vault. These items were billed from the start as a limited time thing, so their removal isn’t surprising, but if you want to continue jetting around the map you’ll only have until June 11 to do so.